In the long-lost time before videogames, children would argue in the playground that their dad could beat up anyone else’s dad, or so I’ve been told. In my day of N64s and Pokémons, confrontations would revolve around whose preferred game character would win the fight. I wasn’t exactly the most popular child at school. 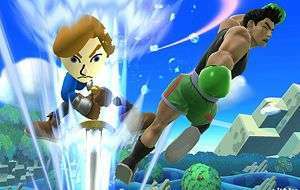 Yet, unbeknownst to us, we’d inadvertently stumbled upon the winning formula that would go on to make Nintendo’s Super Smash Bros series one of the company’s foremost franchises. The premise is as simple as a playground argument – who would win in a fight between some of the most beloved (and obscure) Nintendo characters around? Choosing between mascots like Mario and Pikachu to more left-field inclusions like Ness on battlegrounds from their respective series, it was amazing yet strange; amazing because it was hyperactive fun with ‘pick up and play’ gameplay that took no time to ease into but ages to master, but strange that Nintendo – a company so afraid of damaging perceptions of their characters that you’d be hard-pressed to describe Mario’s personality to any degree of accuracy – would allow you to wail on some of their most beloved characters (and Ness). Yet, it was a rousing success, and two sequels later we’re on the precipice of the latest instalments, Super Smash Bros for Nintendo 3DS and Super Smash Bros for Wii U. Thankfully, the actual games are far more imaginative and fun than their titles, and I got to extensively play both of them. Nintendo had a staggering confidence to Super Smash Bros for Wii U, so much so that every booth would only allow you to play with the optional adaptor to allow you to use GameCube controllers, providing players with a direct comparison to both Melee and Brawl. While there are private concerns that playing with any other method might put you at a disadvantage, there was an immense satisfaction to picking up a GameCube controller and slipping right into the action without skipping a beat. In the interests of getting a direct comparison to the older titles, I played a couple of rounds as Sonic – my main choice in Brawl – but then went right into trying out the new characters to see how natural a fit they would be to the series, and to also get the drop on my unsuspecting friends when the game finally releases so I’d be tearing up the map as one of the new characters while they’re still getting re-acquainted with their old favourites. As with every Smash Bros, the differences between each iteration are in the minute details – the ones that you can’t see at a first glance, but make all the difference on the battlefield. On the Wii U, the combat feels like a ‘best of both worlds’ combination of Brawl and Melee. The speed and pacing of battles is more akin to the latter than the former, but those who preferred Brawl might find it easier to actually get into the flow of combat. The action, as ever, is hectic, with the aim being to knock people off the map more often than you’re taken out yourself. 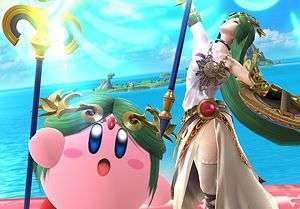 Once again, there’s a myriad of different characters, items, assist trophies, and stages to take on, with each battleground providing different advantages and disadvantages for every character and play-style. For those who want their action no-nonsense, there’s still the memetic “Final Destination, no items” set-up, but now each stage can be converted into its own Final Destination, providing the exact-same combat, but with a better aesthetic and background music. A subtle, but important, difference this time around is that Nintendo have paid a lot of attention into creating a greater balance than there used to be. Fighting games often come with fan-made tiering systems that rank each character, but Brawl‘s was a worrying one to behold, with eleven different tiers between the thirty-eight characters and one of those consisting solely of Meta-Knight, having been deemed so overpowered that he was banned from some competitive play. 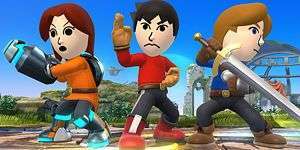 Throughout every match I played in Super Smash Bros for Wii U, there was never a sense that you’d know who’d win through the virtue of what character they selected, but through how they used them. In fact, even when watching battles there was never a feeling that you know who was going to win; I saw people playing Mario win just as often as those playing Kirby or Marth, despite their wildly different places on tier lists in previous games. Every character has received subtle tweaking designed to make the playing field more level, so its very likely that you’ll run head-first into battle with a character you’ve played before, only to find that old tactics won’t suffice any more. I had a very rude awakening when first playing as Sonic once I discovered that my old tactic of using offensive moves to defend my position was less tenable thanks to the fact that there’s now a very slightly longer gap between when he can pull off moves, making combos more difficult and leaving him slightly more vulnerable if he misses his attack. However, once I’d taken it on-board and changed my tactics accordingly, I found myself becoming far more of a force to be reckoned with, even without his deadly Final Smash. As for the newcomers, they’re still designed with that balance in mind but, for the majority of them, the focus has been on making their skillsets highly technical, tactical, and a wholly different playing experience than anyone else on the roster. Take Little Mac for example, formerly of Punch Out! fame, he’s a very heavy hitter despite his tiny stature, but that’s not the sole reason why his appearance is so intriguing. Little Mac is the only character in the game whose ability isn’t solely defined by his damage gauge; he also has a bar above it that builds up the more carnage he deals out to the other competitors. Once it’s filled, Little Mac can unleash a knockout blow that’ll send anyone caught by the deadly right-hook flying off the stage. It’s essentially a guaranteed K.O. whenever it’s used, but its deadliness is offset by how long it takes to charge the bar, how close you have to be to someone to successfully pull it off and the fact that being knocked out himself resets its progress. With that in mind you’d be forgiven for thinking that his use would practically guarantee victory, but that’s not the case. Not only does his tiny frame mean that he’s launched more easily than most, but his aerial recovery is one of the worst around, meaning that if he falls past the stage that he may as well not even bother trying to get back up there. Some stages, like Little Mac’s Boxing Ring, don’t require players to jump back into battle at all, and it’s in places like this that he’ll be a tour-de-force, but elsewhere, players will have to be extremely tactical to get the most out of him. 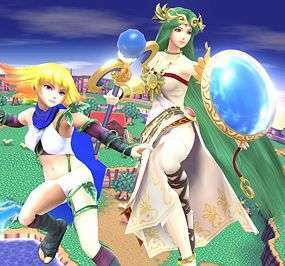 Then there’s Rosalina & Luma. I’m often amused by her inclusion in games outside the Mario Galaxy series seeing as she’s essentially the Mario equivalent of God, but here she’s a more than formidable force if you know how to use her. As well as being a capable fighter, she can also throw out her Luma to attack others in a manner akin to Olimar and his Pikmin, but that’s where that particular similarity ends. Once the Luma is out in the open, it’ll mirror Rosalina’s moves, allowing you to essentially fight as two characters as once, but without the proximity that the Ice Climbers need to be competitive. It seems complicated at first, but she’s incredibly fun to play as once you’re used to the unique mechanic and a recovery move that can see you attempt to land back on one side of the stage, only to fall off the other end. The Wii Fit Trainer seems like an odd choice for the series, but their move-set is quite an interesting one, if not a bit difficult to get used to. In all honesty, I tried multiple times to acclimatise to the way the Wii Fit Trainer plays, but they require far more skill and practice than some of the other characters on the roster to the point you won’t be able to have them fully figured out after only a couple of matches, they’ll need dedication. I will say however, that they’re the character most likely to get on my nerves owing to the fact a lot of their moves come with sound-effects that started grating after only a few bouts, especially if people were spamming the moves repeatedly. Greninja was a surprisingly popular choice amongst the Pokéfans, and one that they’re glad to see appear in the new Smash Bros games. An insanely quick character with moves to match but a tendancy to get launched more easily than its height would suggest, the closest counterpart I can reasonably think of to anyone else on the roster is Sheik; both are lightning-fast and more than capable of getting the drop on others, but are easily dispatched when damaged and lack any real moves that ensure a knockout more often than not. Meanwhile, I found myself slightly disappointed with Mega Man – he may have a varied moveset and a pretty decent Final Smash that both act as an effective tribute to his legacy, but he lacks anything that makes him a truly compelling draw over the other newcomers. For my money, one of the most interesting new characters is the Villager from Animal Crossing, although I may only be saying that because I found them one of the most fun to play. While appearing at first to be one of the more standard players on the roster, they’re instead one of the more technical characters to choose from. Perhaps the greatest example of this is through one of their special attacks, which requires players to plant a seed, water it, wait for it to grow larger, then chop it down and hope it hits another player for big damage before it wilts. It’s a move that can take about half a minute to pull off, and even then there’s no guarantee that you’re even going to land it. While the Villager might not be able to hold their own as effectively in one-on-one combat, they’re a dangerous element to underestimate in any four-player brawls; some of the best knock-outs I achieved were through taking advantage of other players underestimating the Villager and concentrating on fighting someone else, allowing me to sneak up and catch them completely by surprise. Although Super Smash Bros for Nintendo 3DS is releasing sooner than Super Smash Bros for Wii U (there has to be a better way to name these), the differences between them are mostly in terms of actual content rather than gameplay. The Wii U version has battlegrounds based on console games, while the 3DS edition takes more inspiration from its handheld counterparts. Similarly, certain trophies – both regular and assist varieties – are exclusive to one version over the other, and the handheld Smash has an exclusive mode called ‘Smash Run’, where players have only a few minutes to run through randomised dungeons and dispatch mooks, whereupon they’ll be given stat boosts they can use in the upcoming battle. However, after playing both I can’t help but prefer the console version to its handheld counterpart, but this is solely down to the issues I had with Super Smash Bros for Nintendo 3DS. The first major problem I came across is something that I’m hoping will be fixed by launch, but the netcode was an utter shambles. Matches repeatedly lost connection, and even though all four 3DS units were right next to each other, battles would become horrendously laggy the moment it thought too much was happening on-screen. As the stages are smaller and the view is more zoomed out, it’s a bit disappointing that too much action slows the pace to a crawl, especially when that chaos is such a draw. That being said, it’ll probably be solved for launch. Probably. The second is the clincher for me, and it’s that the circle-pad is actually kind of horrible to use at times. Coming off the back of playing the Wii U edition on a GameCube controller, the circle-pad feels like crossing your spare fingers and hoping for the best. Simply put, the circle-pad feels floaty and light in comparison, which in turn causes it to come across as inaccurate and imprecise, which are the last two words you want to hear attributed to a fighting game’s controls. Despite my best efforts, I’d often see my intended move turn into another, or attempts to recover twarted by the same fiendish mechanisms. I hope that they allow you to use the D-Pad as an alternative method to control the 3DS version, because otherwise I’m going to have a bad time when I inevitably buy it anyway. Between the two versions, Super Smash Bros for Wii U feels superior, but that’s not to diminish the 3DS counterpart totally. If anything, it’s perhaps more of an achievement to get such a dense, varied game onto a tiny cartridge, but that doesn’t mean that the Wii U version isn’t an incredible accomplishment in itself. It’s not just the amazing mechanics, varied roster, and tense yet fun gameplay that makes Super Smash Bros for Wii U such an incredible game, it’s also the fact that it feels like a passion project through and through. 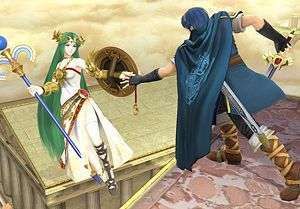 There have been clear attempts to balance the playing field between existing characters while adding newcomers who require entirely new strategies to master. There’s an astonishing amount of depth and possibility that occurs in every match, and yet it still feels entirely reliant on your own skill as to whether you succeed or finish dead last. Finally, it’s also evident throughout that they’ve taken the best parts of Melee and Brawl before it, mixed them together and produced something that so brilliant that the downsides of both predecessors are nowhere to be seen, while its own victories can be seen clear as day. While Super Smash Bros for Nintendo 3DS will be a remarkable and brilliant title in its own right, it’s only a warm-up to the release of its console counterpart, and I get the feeling Super Smash Bros for Wii U is going to be holding that champion’s belt for a long time to come. Tags: Bandai Namco, E3 2014, E3 2014 previews, Nintendo, Super Smash Bros, You talkin' to mii?